After the death of President Harry Stoeckle in 1925 and the suspension of business by the Joseph Stoeckle Brewing Company, the Stoeckle family retained ownership of the Diamond State Brewery. The value of the brewery at 5th and Adams Streets would remain great deflated through the remaining years of National Prohibition. There was little use for such a massive and specialized complex, though Purity Beverage Company operated a soft drink business in a portion of the brewery. When brewing at the facility became a possibility once again, the Stoeckle heirs were ready to sell. In April 1933, with Repeal all but a foregone conclusion, a new enterprise of investors called the New Jersey-Delaware Brewing Company formed as a stock company with the intention of reviving the old brewery. Victor Ullman, who happened to be Joseph Stoeckle’s son-in-law, as well as a long-time cooper and last president for the Joseph Stoeckle Brewing Company, was actively involved with the investment group in its early organization plans. 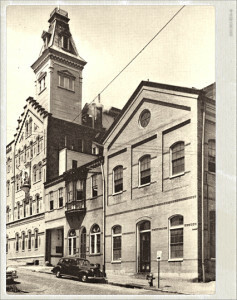 The New Jersey-Delaware Brewing Company, with Ullman as its president, purchased the Diamond State Brewery in September 1933 from the Stoeckle family for $150,000. 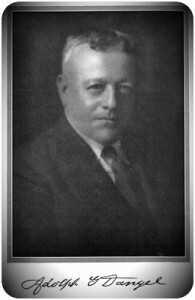 Guy de la Rigaudiere of Pennsylvania, who had been a principle promoter of the new firm, died in February 1934. 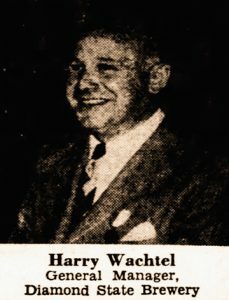 In November 1934, Harry Wachtel of Philadelphia, was hired to sell it’s the company’s capital stock. The company struggled to raise capital and, by early 1935, had purchased less than a third of the equipment necessary to re-tool the old brewery. By the Spring of 1935, the financial situation of the company was precarious. Wachtel and Adolph Dangel, friend of the Stoeckle family, proceeded to re-structure the company’s debit and obtain the needed credit and loans to purchase the remainder of the equipment to begin brewing operations. Over the next year, a new refrigerating plant was constructed, along with the installation of 30 fermenting tanks and a new steam boiler. The annual capacity of the Diamond State Brewery would be 200,000 barrels with total anticipated annual production set at 50,000 barrels. 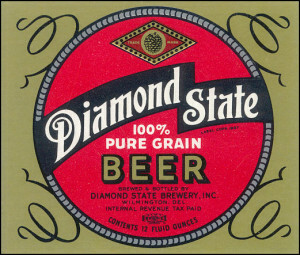 With Dangel as president and Watchel as general manager, the concern changed its name to the Diamond State Brewery, Inc. and, in Spring 1936, secured the licenses needed to beginning operating. The brewery finally opened for production in November and began shipping its Diamond State Pure Grain Beer in kegs to Delaware distributors the next month. Bottled and canned beer was subsequently introduced by the brewery. Unfortunately, Diamond State was entangled in several lawsuits from investors in its first few years of operation. The brewery was never able to meet the production and sales levels originally planned and barely managed to keep afloat through its first five years. Although World War II rationing placed restrictions on the company’s ability to produce and distribute its product, Diamond State finally gained market share and turned a slight profit in 1942 and 1943. 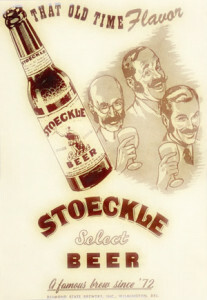 In February 1943, Diamond State introduced Stoeckle Select Lager and Ale, the former of which was based on the original Stoeckle recipe. The beer’s jingle, “A Famous Brew Since ‘72”, harkened back to the brewery’s glory days, as did the iconic image of the Gambrinus statue adorning the cans and bottle labels. Indeed, times were good for Diamond State during the immediate post-war years. The brewery experienced steady sales and profits through 1947, when the company produced 130,000 barrels. Distribution had expanded beyond Delaware, into Maryland, southeastern Pennsylvania and southern New Jersey. The company’s fortunes and finances began a sharp downward trend in 1948 as a result of competition from Philadelphia breweries and other national brands, who had begun advertising and distributing in Delaware. In 1949, Dangel, who’s father’s construction company had built the brewery in 1882, stepped aside as president. Watchel, who had been largely responsible for the daily operation of the brewery since 1936, too over as president. Karl Heigenmooser left the shuttered Krueger Brewery across town and became Diamond State’s vice president. Despite the organizational changes, Diamond State continued to experience less than desired sales through the early 1950s. Debt mounted over the next 3 years and the firm was forced to cease operations in late 1954. The Diamond State Brewery, Inc. finally declared bankruptcy in 1955. The next year the brewery building was sold to Cohen Brothers Furniture Store, who utilized part of the building as a warehouse. Other sections of the brewery were rented to other businesses. The Diamond State Brewery was in the path of a planned interstate highway through the city. Although the initial plan in 1950 called for a roadway tunnel to be constructed underneath 5th Street, the brewery’s closure made the decision to demolish it an easier one. In 1962, the brewery which had stood in the same location since 1859, longer than any brewery in the state’s history, was removed and the ground around it blasted away for construction of the new highway. King Gambrinus, the icon of brewing in Delaware, was removed and relocated in the days prior to the brewery’s demolition.